We remember our beloved parents and brother Gideon with thanksgiving to God for His faithfulness, great love, comfort and presence in our lives, since you went to be with the Lord. 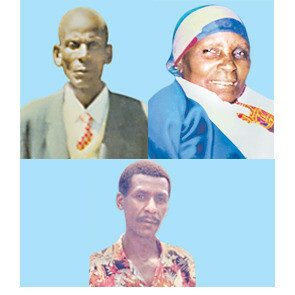 Dad (8yrs), Mum (5yrs) and Brother Gideon (29yrs). Fondly remembered and truly missed by your loving children, grandchildren, great grandchildren relatives and friends.